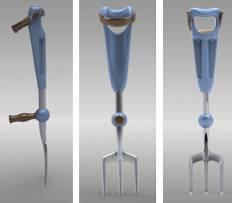 Contact Terra Firma Tools Partners Wanted F.A.Q. .
"The Orginal Best Ergonomic Tool Handle with interchangable grip"
A Tool Handle design that offers both single and two handed grip, without the need to change the tool set up. 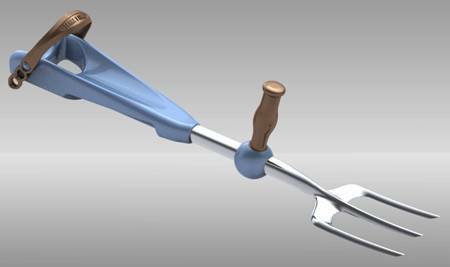 The tool handle design lends itself to many tool head options, using quick release change over. 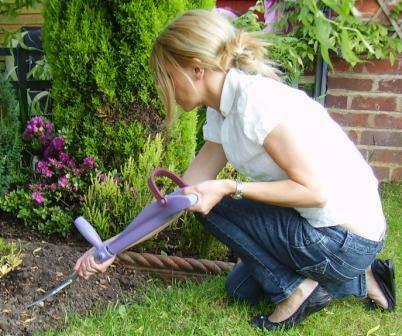 We like to call it the “ 2 for 1 tool ” for both single hand or 2 handed grip without need to alter or change the tool handle because of it's unique design properties, it makes your gardening jobs less effort, and more pleasure and most importantly, eliminates hand blisters and strain to the wrist ! 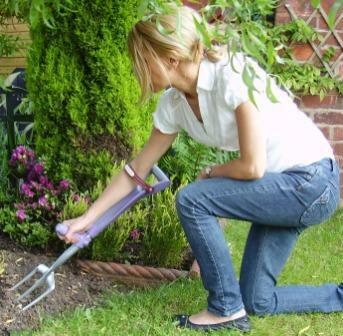 10 great reasons to own a Terra Firma garden hand tool ! Exclusive. Not available anywhere else in the world, ONLY HERE !